June 21, 2012. 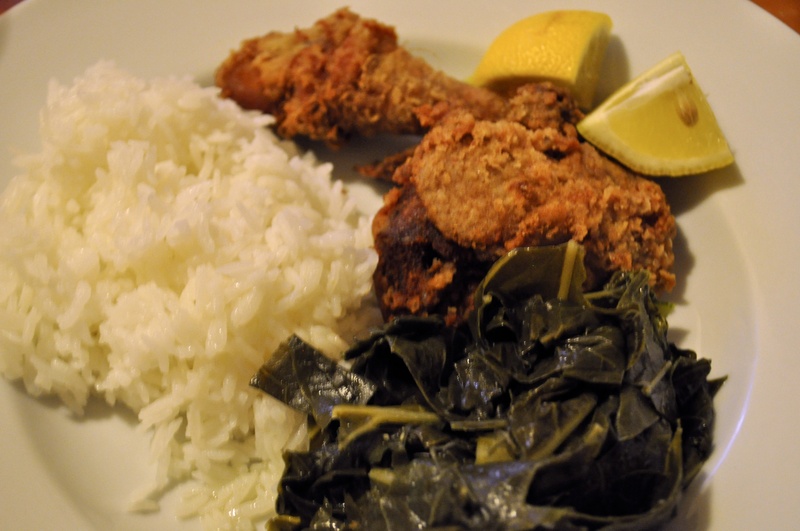 Fried Chicken, Collard Greens, and Rice. A typical Southern/Filipino meal in our house.